DO NEUROLOGISTS NEED MBAS TO CONDUCT THE BUSINESS OF MEDICINE? 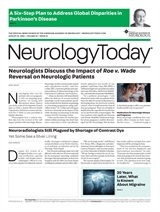 The practice of neurology has undergone sweeping changes over the past decade. The economics of managed health care has made it impossible to ignore the business side of medicine. Whether you are a neurologist in private practice, part of a large multispecialty group, or practicing in an academic setting, you face daily business decisions that affect your income, practice viability, and professional satisfaction. Medical practice today requires a working knowledge of billing and coding, systematic analysis of payer contracts and fee schedules, evaluation of costs and expenses, expertise in strategic planning, marketing, employee management, and more. Unfortunately, medical schools and residency training programs do not provide the tools necessary for us to meet these challenges. Like it or not, neurologists need to find a way to fill this void in our education. So, where do we go to get this additional training and how do we make the time in our already demanding professional lives? Although the numbers are not tracked, current estimates indicate that more than 5,000 physicians have gone back to pursue their MBAs and that the trend is increasing. They come from a mix of practice settings and specialties, including neurology. Agustin Legido, MD, Chief of Neurology at Saint Christopher's Hospital in Philadelphia, is one of them. Dr. Legido said his studies at the Fox School of Business Management have helped him analyze and evaluate problems and solve challenges, which are manifested in all aspects of patient care – from addressing scheduling conflicts and patient-physician communication, to improving billing and collection practices. For Gerardo Torres, MD, additional MBA training created new job opportunities. Previously an adult neurologist with a neuromuscular subspecialty, he now works as a global clinical manger for Aventis Pharmaceuticals. He attributes much of his success in industry to the skills he gained in business school – among them, learning how to create budgets and forecast product performance. But just how practical is getting an MBA for practicing neurologists? Few physicians can make the time or afford the cost of leaving their practices one to two days or several evenings per week to attend classes. Because undergraduate business course requirements often are waived for physicians, they enter MBA programs grossly unprepared. For the first time, physicians are at the bottom of the class, struggling with spreadsheets and accounting terms that are unfamiliar. Additional time spent catching up, studying, writing reports, and completing projects adds an estimated average of 20 hours per week to the time burden. Rodolfo Escutin, Jr., MD, a neuromuscular specialist, enrolled in the University of California-Irvine Healthcare MBA Program in 1997, but left after five months. He found the task of working a full-time job and taking classes in “completely alien” subject matter too arduous. Indeed, the consensus among neurologists interviewed for this story is that for most clinicians, an MBA is not necessary. Joseph Spooner, MD, MBA, did a fellowship in Neuro-Otology at UCLA where he subsequently also received his MBA. He said the only reason for physicians to get an MBA is if they have entrepreneurial aspirations – which, he acknowledged, he did. After serving for 10 years as medical director for several large physician groups in California, Dr. Spooner now runs the Parent Care Company, consulting with adult children of parents struggling with health care decisions. One of his clients, for example, asked him to advise them about an invasive procedure being considered for their elderly parent. Dr. Spooner consulted with a neurosurgeon about the procedure – the placement of a shunt – and explained the options to the patient's children in accessible language. He loves his work and acknowledges that his MBA provided the substrate for his professional career. Gail Thurmond, MD, agrees that unless they intend to take leadership roles, neurologists in private practice do not need an MBA. She does, however, believe that every physician needs to acquire a certain threshold of business skills in order to deal with the current health care environment. Dr. Thurmond pursued her master's degree at the Physician Executive MBA program at the University of Tennessee, a program specifically designed for doctors. Its focus on leadership development was particularly useful to her in her present position as Chief Medical Officer of Health Choice, a physician hospital organization in Memphis. Dr. Thurmond continued: “Every physician should know how to read a spreadsheet and how to have someone accurately calculate the cost of doing business on a particular contract and forecast for the next two years. And all physicians should understand why this is important. Physicians should understand the business of billing and coding and should personally ensure that it is done correctly, because we are personally responsible if it is not. A Medicare audit will teach that very quickly. Recognizing the difficulties physicians face, several institutions, including the American College of Physician Executives and Johns Hopkins University, have designed certificate programs that provide business continuing education for physicians. These are created to test the waters; if appealing, their credits can be applied to future degrees in management. Some programs, such as the Regis Online MBA for Physicians, are constructed to bring the classroom to the home PC through the use of streaming video and audio lectures and textbooks. For shorter courses, more practical for most physicians, the American Academy of Neurology and many regional medical societies offer practice management seminars to inform and update their members on business issues. Upcoming columns will offer suggestions for incorporating sound business principles in neurology offices. We will illustrate how savvy practice management can decrease many administrative frustrations and hurdles. We will also introduce digital tools, some of these specifically tailored for neurologists, that enable more efficient work, cut costs, facilitate communication, and enhance quality of care. We will show how your colleagues are using these systems in their daily practices to streamline office processes and obtain solutions for clinical decision-making at the point of care.